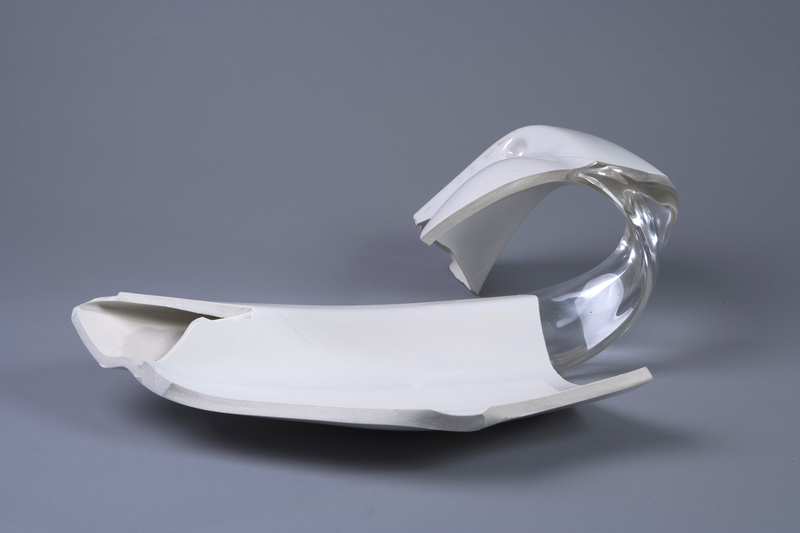 This collaborative research was initiated in early 2010 to explore ways of combining Gayle Matthias’s specialist knowledge of kiln-formed glass and Tavs Jorgensen’s understanding of digital fabrication technologies. The two-part co-authored research paper was disseminated as part of ‘Towards a New Ceramic Future’ symposium at the V & A, London. Organised by the Centre for Fine Print Research at University of the West of England and in partnership with Denby Pottery. The symposium assembled leading experts in the field of 3D printed ceramics to disseminate recent research findings. The programme of interdisciplinary speakers represented industry and crafts perspectives, presenting an overview of the field to a diverse national and international audience. accurate glass casting, economies in mould production and firing schedules. ‘Combining Ready-Mades with Digital Tooling’ allowed the dissemination of Matthias’s artistic exploration of this process alongside the digitization of 3D scanned data. The resulting physical artefact, ‘Sinew’ has been shown in three exhibitions and processes documented in two books. Research was also disseminated at ‘Envisioning the Future’ conference at MIT in June 2013. Proof of concept has already been established by the successful production of glass artefacts. The project has been in receipt of sponsorship from ZCorporation (US), an industry leading company in 3D printing, and Gaffer Glass (NZ).